Coming off his first season as Director of Football Operations for the Green Bay Packers, the 34 year old Wolf is considered one of the brightest young league executives in all of football. 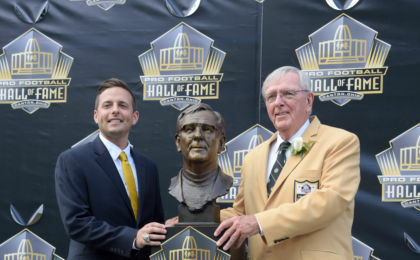 He is the son of former Green Bay Packers Hall of Fame general manager, Ron Wolf, and has spent the past 14 seasons with his father’s old organization. 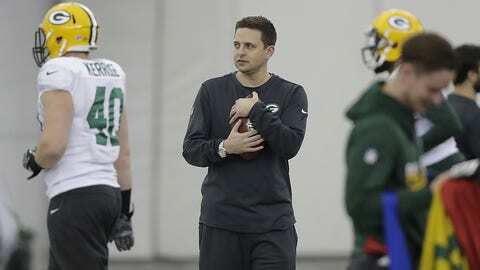 Prior to being promoted to the Packers Director of Football Operations in 2016, Wolf was previously Green Bay’s Director of Player Personnel (2015), Director of Pro Personnel (2012-14), Assistant Director of Player Personnel (2011), Assistant Director of Pro Personnel (2008-10), and Pro Personnel Assistant (2004-07). Plucking Wolf from the Packers may be challenging for the Colts; however, as he recently withdrew from the San Francisco 49ers general manager search and was awarded a new deal to persuade him to remain in Green Bay for the foreseeable future. Additionally, he’s viewed by many in league circles to be the long-term successor to 64 year old Ted Thompson as the Packers next general manager. However, Indianapolis has a certain ‘Midwestern’ charm to share with Green Bay (not to mention a certain franchise quarterback) and is much closer to home for Wolf than say somewhere like San Francisco–both in proximity and in feel.